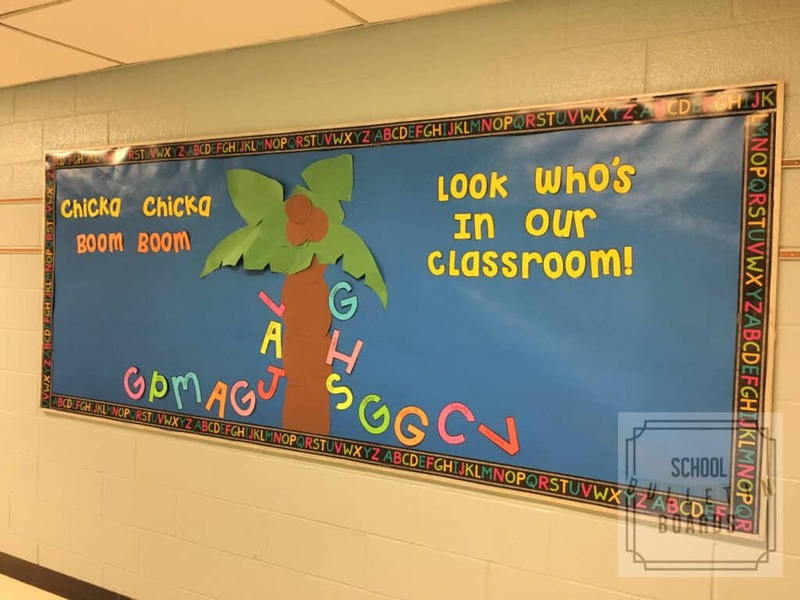 Correlating with a classic Kindergarten back to school book, this bulletin board is sure to delight your new students when they are able to recognize and find their own names on display for all the classroom to see! 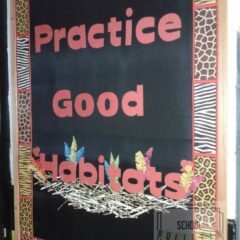 “The blue background was from Lakeshore Learning…it’s their special bulletin board paper that can be reused! 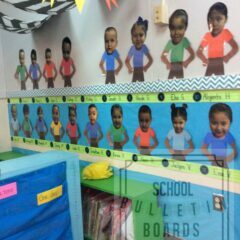 This was my back to school bulletin board so I cut out the first letter of each student’s name (onto colorful card stock) and wrote their names on their letters. Ask students to stand up if their name starts with the letter _____. Have all students practice writing letters in the air with their finger after showing them the example on the board. As the year progresses, have small groups of students form letters with their bodies in the gym or outside on a safe surface. You call out “Show me the letter that “Anna’s” name starts with.” Give each group time to form an A. 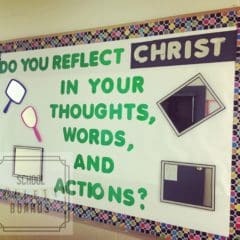 Snap a picture to use on another classroom bulletin board later or for a center! 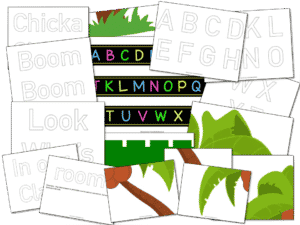 Alphabet Recognition All Around the Room! Blue fadeless background: Such an inviting color to frame the colorful letters. Alphabet bulletin board border: The black background really helps the neon colors to stand out and compliments the blue bulletin board background too. Yellow letters: For part of the title on the board. 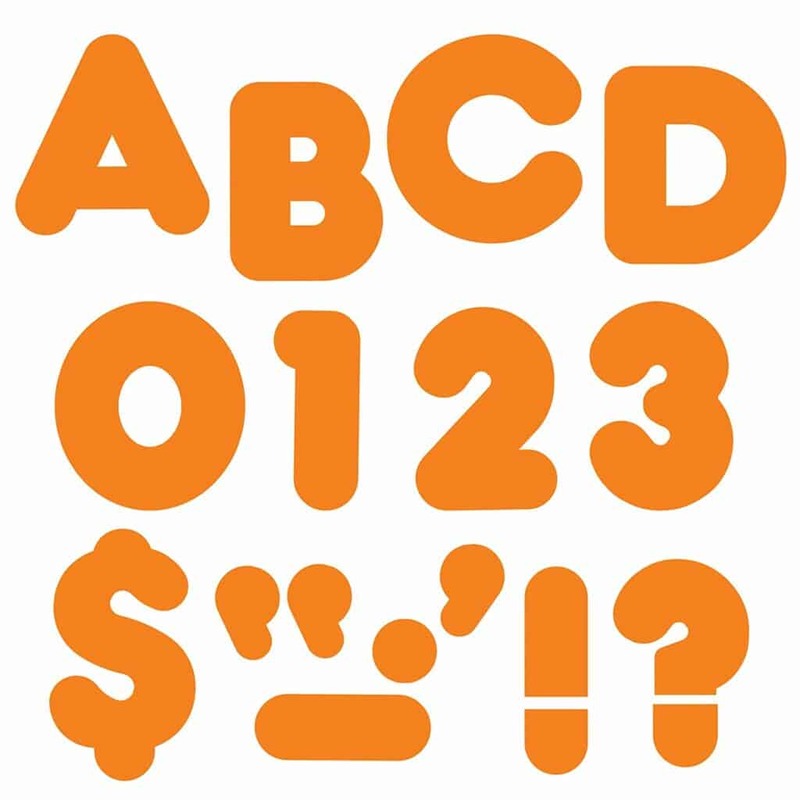 Orange punch out letters: For the other half of your bulletin board title. 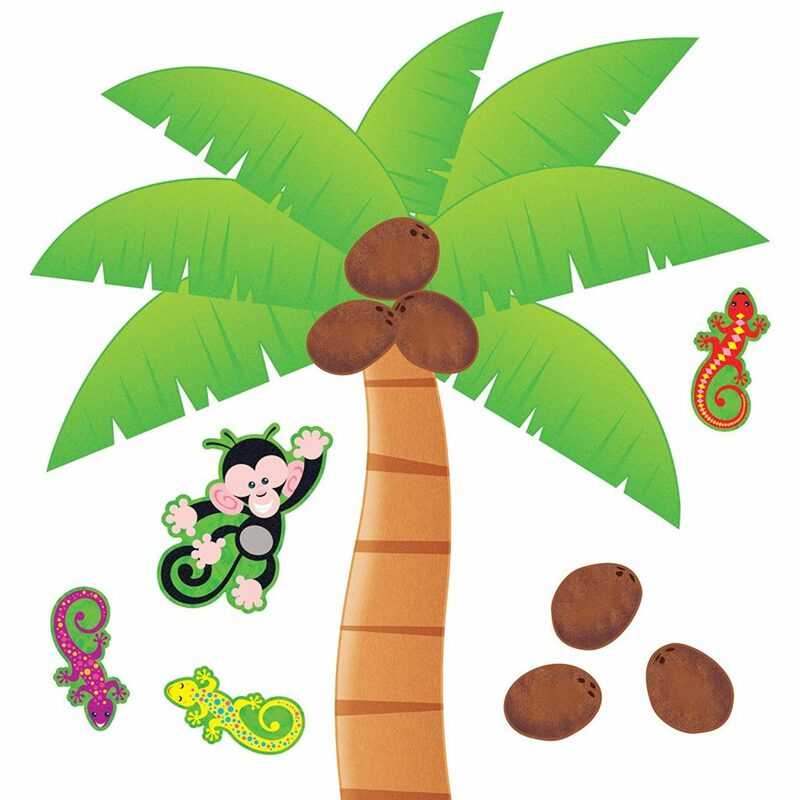 Palm tree cut out: Used as the center piece of your back to school bulletin board. 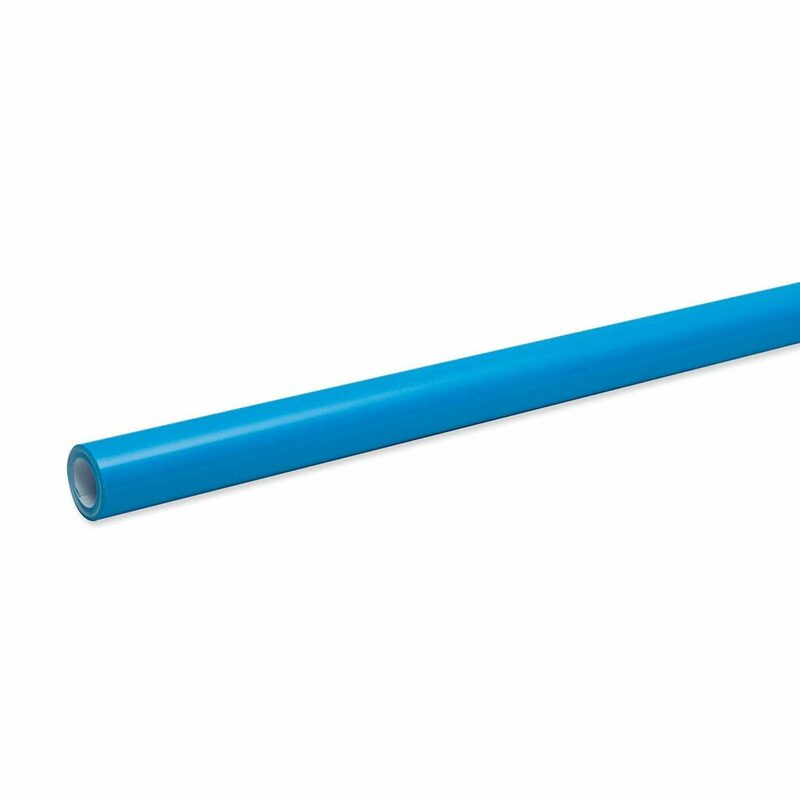 Start with a clean bulletin board and place your blue background on it. Next, position your palm tree in the middle. After that, place your alphabet border around the edges of your board. 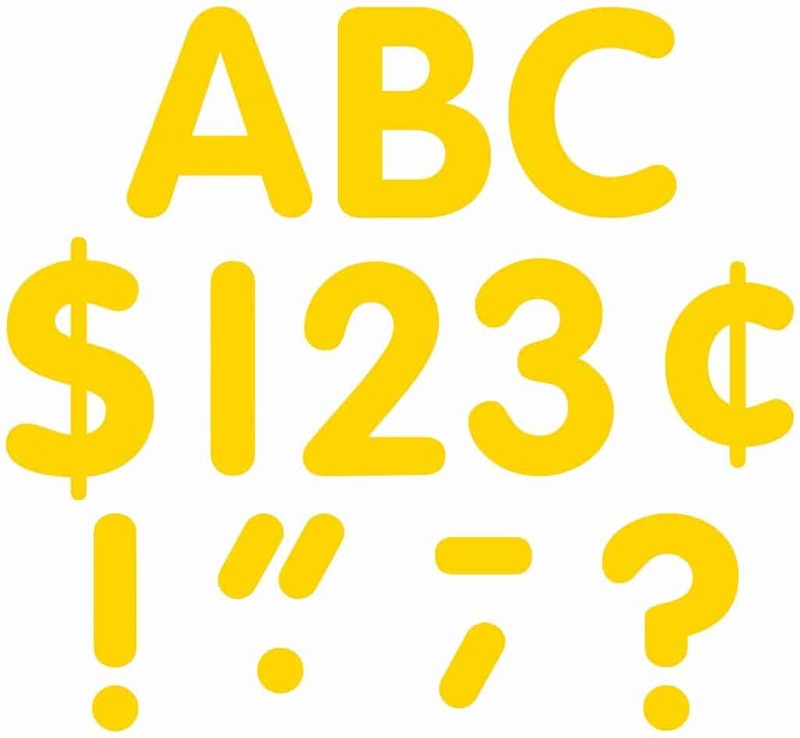 Finally, prepare different colored capital letters – one for the first initial of each child in the room. Write his or her first name on the letter with a Sharpie. Staple randomly in a “pile” under the palm tree on your finished bulletin board. 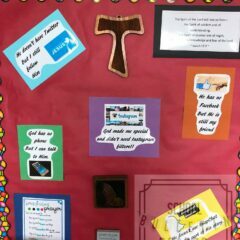 Back to school bulletin boards are fun for new students, young and old. And when it integrates with literature you’ll be reading anyway, even better!